I decided to volunteer for Women for Refugee Women as I wanted to do something proactive and meaningful to help welcome people who come to the UK in search of safety. In the summer of 2017 I trained as an English teacher, and after coming across Women for Refugee Women I wanted to put the skills I had learnt in my course into practise. I gained more from the Women Asylum Seekers Together (WAST) group, who meet every Monday, than I ever could have imagined. The warmth and care of these women who had come to the UK looking for a safe place is overwhelming. I’m inspired by the women’s determination to improve their English skills and to learn more about the history and culture of the UK. Even after all the horrendous stories I hear about the asylum process, they are still fighting to rebuild their lives and will never give up. 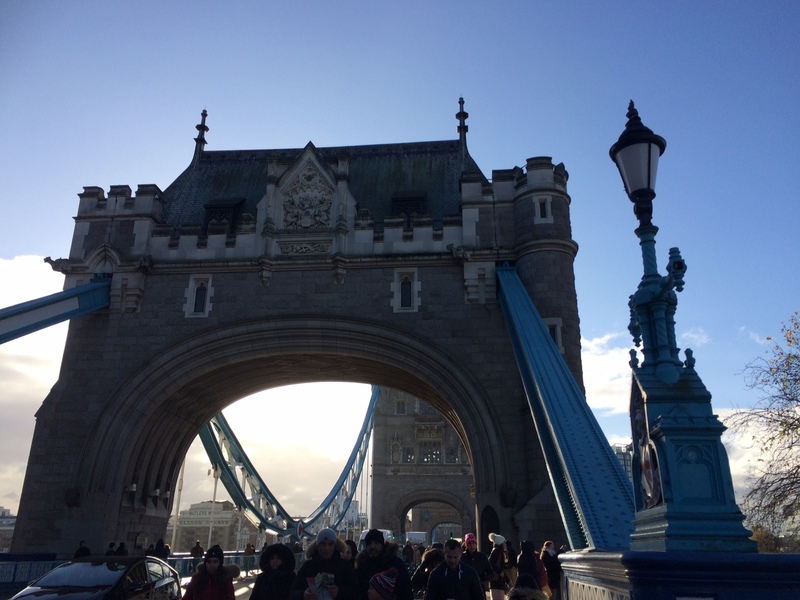 During my first lesson with the women, we looked at the vocabulary used in traditional tours of London. We discussed words such as ‘footsteps’ and ‘upmarket’ as we looked at some of the older areas of the city. Some of the women commented that they had never been to central London and didn’t know the historic buildings. I chirped in that my dad was a tour guide and found that the women were keen to explore and learn about London in this way. So I made it my mission to organise a tour for them before the end of term! I spoke to my dad and we devised a route. Starting at Tower Hill, crossing Tower Bridge to see the panoramic view of London’s skyscrapers, followed by a cup of tea at City Hall and then continuing along the south bank of the river Thames to the Millennium Bridge and St. Paul’s Cathedral. We thought this would show London at its best, the juxtaposition of old and new. My dad loves talking to people, but even-more-so when they listen to him! 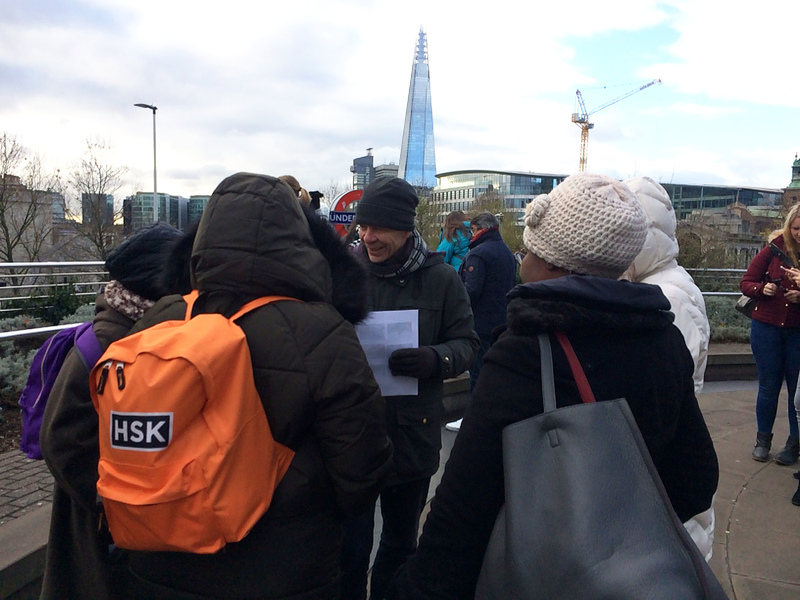 The ladies were hooked by his stories of London’s past, including the Catholics and Protestants that were executed at the tower, the gunpowder plot that we studied in class and England’s barbaric colonial history. 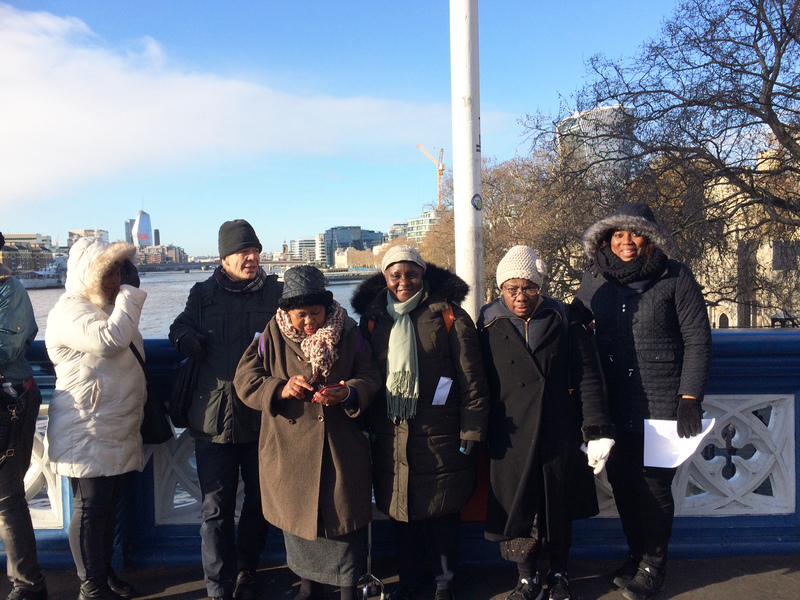 It was a cold crisp day but six women braved the elements to learn more about London and to have a wonderful experience. The feedback I got was positive and hopefully we can do another one in the summer when it is not so cold! Thank you to Hugh Dennis and everyone at Women for Refugee Women for all the wonderful work they are doing. This experience has opened my eyes to the struggles people face every day, and to the warmth and resilience of humanity.